A unique, artistic expression of local designers and architects. 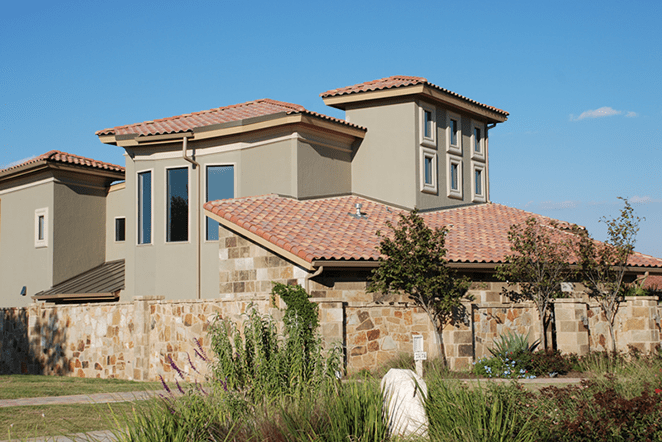 The Symphony League was supported by the construction and sale of this Villa in a Lake Travis community. The home was the culmination of several high profile interior designers and architects working to feature beautiful finishes in every room. The stunning wall of glass in the living area is offset by a custom chandelier and a fireplace with custom stone surround and mantel. A “spool”, or a Spa + Pool, offers a relief to the heat in the enclosed courtyard.